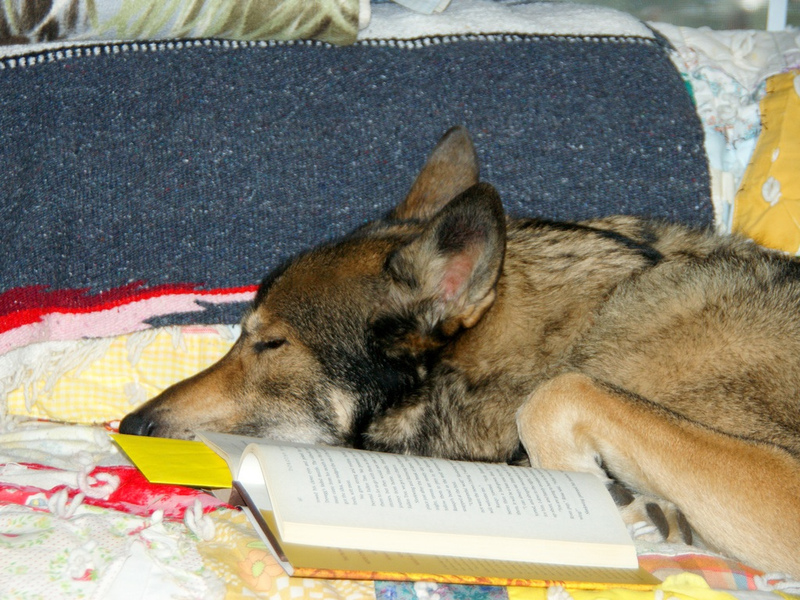 Gotta love a wolf/dog who likes to read. Looking forward to more photos. He is a beautiful dog for sure.